There are really only two species of timber that are used in yacht masts; Sitka Spruce and Douglas Fir. However there is sometimes a bit of confusion due to the many names that the timber is know as: Sitka Spruce aka Silver Spruce, Pacific Coast Spruce, Mast and Spar Spruce, Tideline Spruce: and Douglas Fir aka Oregon Pine, British Columbian Pine. Both timbers have their own individual characteristics although equally suited for use in yacht spars. Which to use is really down to the yacht, the rig, and the owner. Most gaffers need stiffness in their unsupported spar section and for this Fir is the first choice due to it being stronger and stiffer. It also offers a tougher wood fibre, better suited to the wear and tear from the gaff jaws or saddle. Weight on a gaffer is often not such a major problem and therefore there is little doubt in it's suitability. The lighter, more flexible spruce lends itself to performance dinghies and day boats where every kilo saved has an effect on the performance. With complicated spreader arrangements as found on the development class dinghies and little race yachts such as 6 and 8 meters, the mast works as a hollow tube kept in column at all times. There are boats that cross over the between the two, and we will be pleased to advise on the most suitable material. The initial selection of the timber that goes into a spar is probably the most important part in producing a quality yacht mast. Spotting the tell-tail signs before the timber is cut into is the key, and keeping a degree of flexibility throughout the construction is always important should the timber reveal any unexpected problems. 'Compression' caused by a prevailing wind or even a tree grown on the side of hill can unlock all sorts of problems. When the tree has been exposed to an uneven stress, one side of the tree will grow stronger to compensate, and this hard timber is known as compression wood. It can be spotted by reddish colour streaks running through and along the board often with perfectly fine light colour grain on either side. Should this be used there is a likely possibility that these hard red streaks will 'pull' the spar round during construction, often during the shaping process when one starts to remove excess timber. 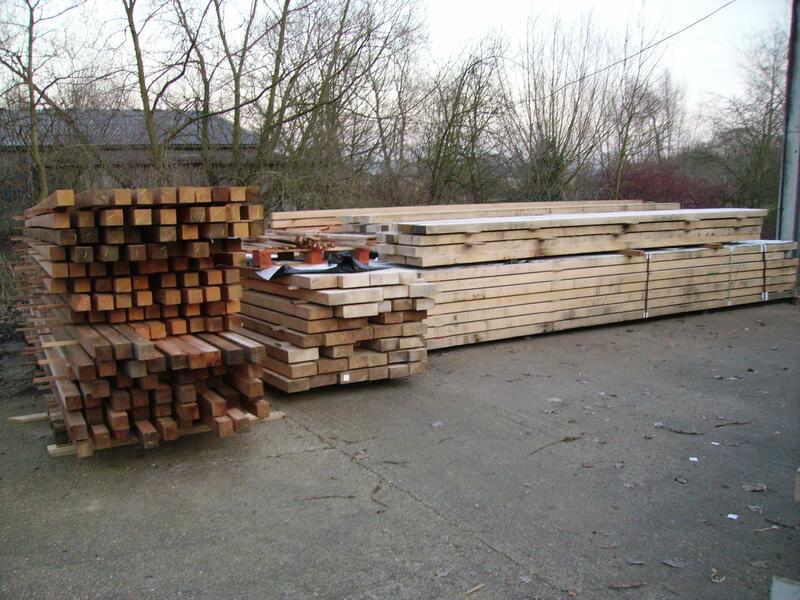 With making all sorts of products from small 4' paddles right through to 90' masts we are able to use almost every piece of timber that comes into our yard. Selection is the key, and if you start with the perfect piece of timber you can't fail to produce a beautiful mast.